How are rocks like musical instruments? Rocks are like musical instruments: They are just dead weight in the hands of people who don’t know what to do with them. 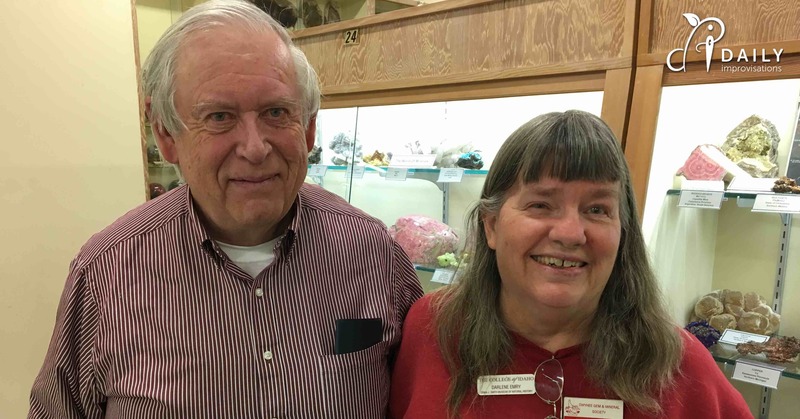 The Owyhee Gem and Mineral Society (OGMS) and the Orma J. Smith Museum of Natural History know what to do with rocks and gems. I know this because I am NOT a rock enthusiast, but they made me hear the music of rocks this weekend. 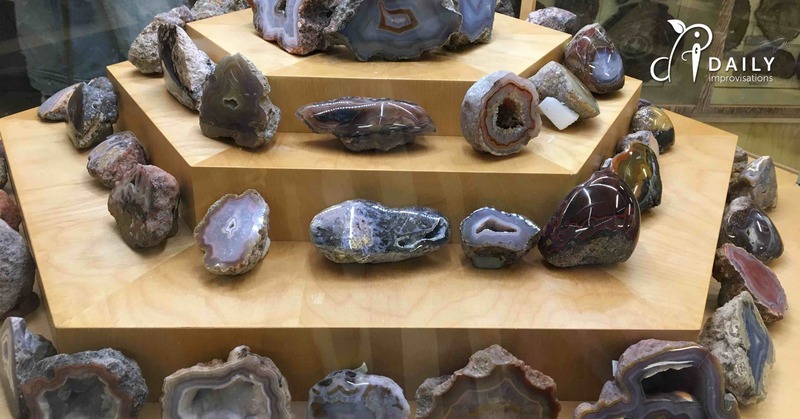 Hidden in the basement of the College of Idaho’s Boone building is a stunning collection of rocks, gems, and petrified wood. 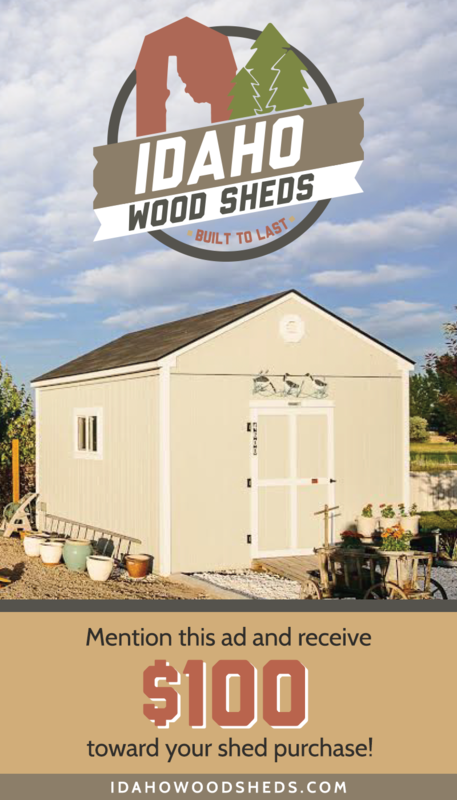 This collection is actually a collection of collections begun in the 1930’s by native Idahoans. It is lovingly cared for by members of the OGMS. If the marvelous designs and colors of the display don’t awaken your soul, their stories about them will. To be honest, I went on this field trip to the Boone building only to spend time with my husband. I expected to be slightly bored, but to do my best to find something to be interested in. I ended up being fascinated. What do rock experts know that we don’t? It helps that the collectors, past and present, know just how to cut, polish, and display these treasures. Nearly every piece draws your gaze in to examine its intricacies. If you are looking for inspiration in anything from art projects to home decorating, this will get your mind working. 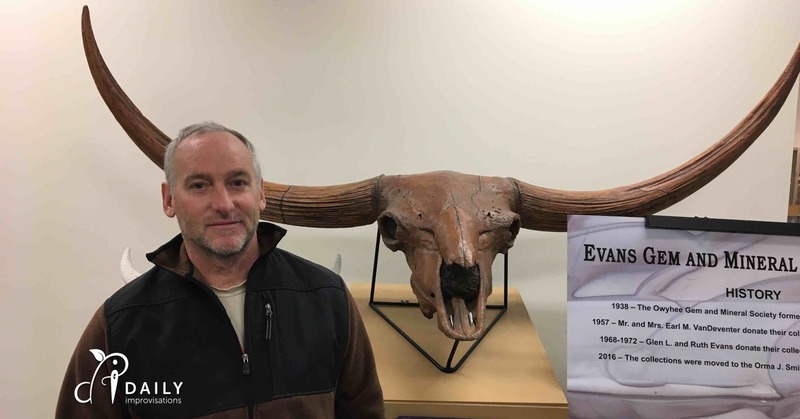 While we were there, we met Howard and Darlene Emery, who took time from their work to answer all our questions and point us to the part of the display that summarized its history. Hearing them talk about the rocks and the people involved brought life to the photos and placards behind the glass. It also gave us more appreciation for how much work was involved in reading and validating old labels of the pieces. Even with all the beauty, the practical side of me wanted to know if there was any other use for all of these rocks and gems. The first answer was art and jewelry, but then Howard went on to explain his class sessions with children. He tells them how some of the minerals are used for building things, making tools, and are necessary parts of nutrition (albeit in very small amounts). Many of the rocks and minerals were labeled with their chemical composition. There was also a small section of the display explaining how all of this related to the periodic table of elements. As someone who spent a fair amount of time in both high school and college chemistry classes, I found this very solid example of chemistry refreshing. Too many times chemistry class consists of pouring prepared powders and solutions into beakers. This was chemistry in the raw, so-to-speak. And beautiful chemistry, at that. All of this got me thinking. What kind of rocks are in my backyard? I figured this could be both fun and useful to explore. It could indicate the chemistry of my soil. There could be uptapped beauty, waiting for someone to do more than toss them out of the garden or paint them as ladybugs. Although, painting some rocks as ladybugs is on my list, too! There is more to tell about the museum, but I will save that for later. Right now, we need to go on to the next stop. I would go back to the Rock and Gem Show just for the black light tent. I would have missed it if my 24 year old daughter hadn’t brought it to my attention. Inside it was so pitch black that I gripped her hand so I wouldn’t lose her, but my eyes adjusted quickly and it was easy to find my way along the displays. Black light brings out colors that normal lighting can’t. To demonstrate that distinction, the display lamps alternated between normal lights and black lights. 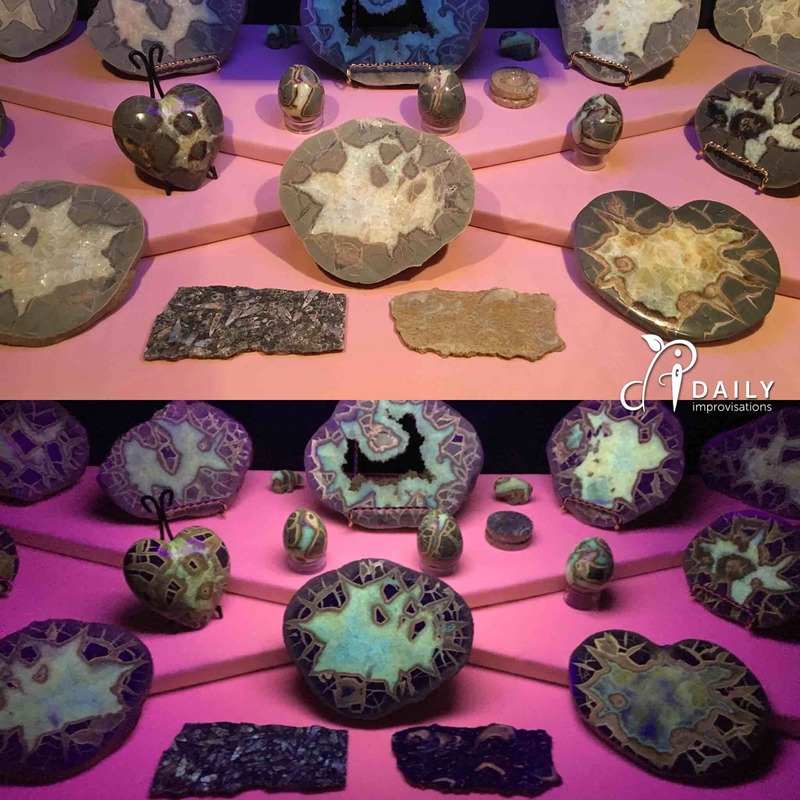 While all of the rocks were interesting in normal light, the black light created an other-worldliness. In fact, one of the displays looked like an alien solar system. The rest of the show included traveling vendors, local rock hounds, activities for kids, tables with demonstrations of “faceting,” and maps. One of the activities was getting a pie plate full of sandy dirt and digging through it for rocks and gems. There were people of all ages happily engaged in this. When I saw that a PhD was on hand to help identify anyone’s rocks, I wished I had brought something. I thought of the bowl of polished rocks I inherited from my mother. My mom’s uncle was a rock hound in Sweet Home, Oregon. 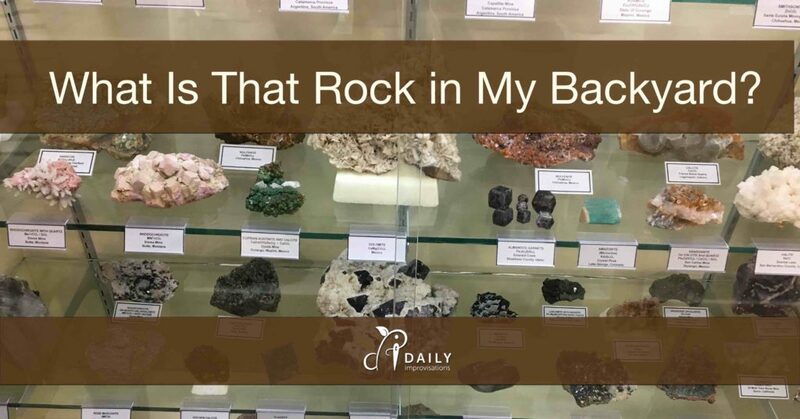 When I was a young girl, we would be in awe of stepping into his rock collection room. He had shelves and drawers stuffed with rocks. He must have polished tons of them, literally. 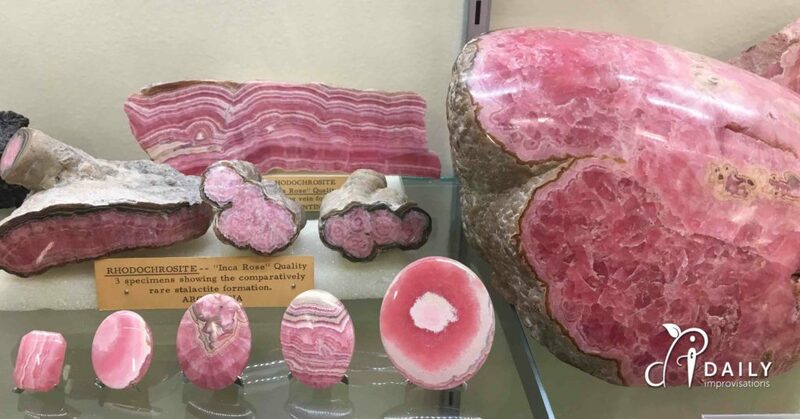 On every visit, we would each get to choose one polished rock to take home. Somehow, my mom ended up with more. They are now a favorite sorting item for my grandkids now. If you want to look for special rocks, it might help to have a map. The huge map of the geology of Idaho caught my eye and it only took a split second for me to buy one for my husband. It came with a booklet explaining where they got the information to make the map. It will go nicely in his home office. The picture jasper was another thing that was worth the entire trip. 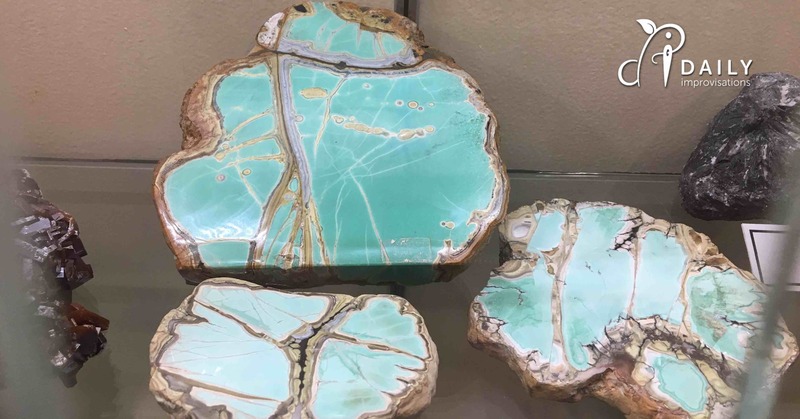 If you don’t know what picture jasper is, you might take a look at this pinterest page. It can be hard to believe these were not painted or built by someone. Unfortunately, if you are reading this right after I write it, you will have to wait another year for the next annual Rock and Gem Show. However, the Orma J. Smith Museum is always there. I plan on taking my grandchildren to visit, but not only for the rocks. 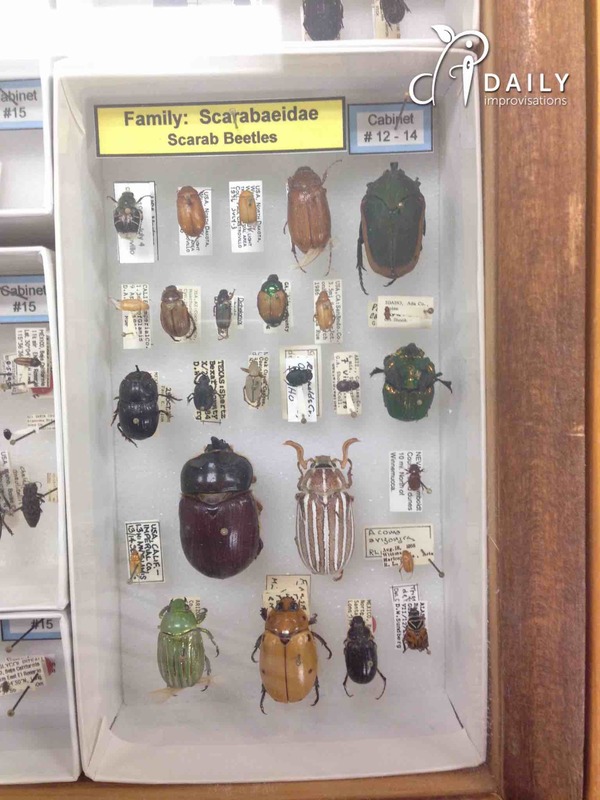 Although the museum may seem small as museums go, I believe it is a perfect size for children. 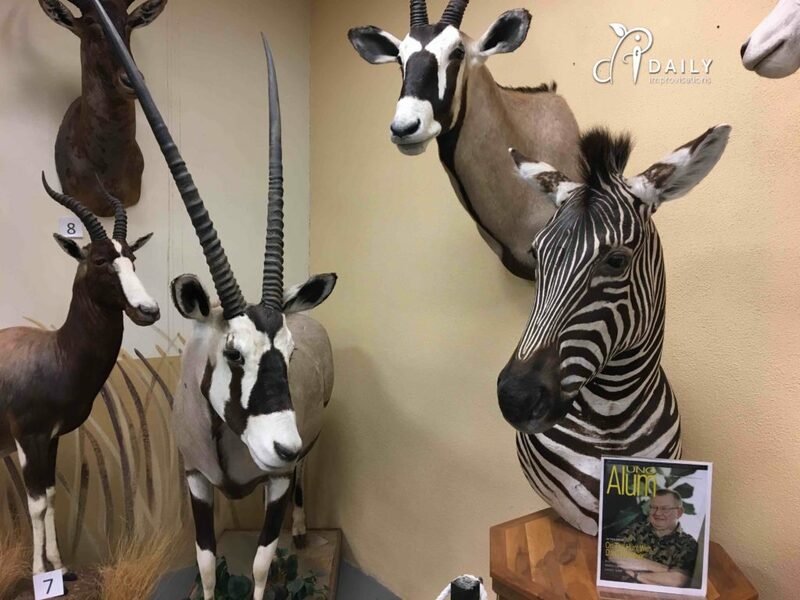 It includes displays of wild animals that you can get very close to. For those who like or want to identify insects, there are multiple cases of them. As for me, my husband bought the family annual membership to the OGMS, so I guess I should have resources for identifying all the rocks in my backyard.